I am only recieving 1GB premium data for each billing cycle. I just activated my iPhone 5 LTE with the intend to choose the LTE unlimited talk/text/data but on my plan menu, it only says 1GB plus $0.15 per additional MB. Can you take a look at this. Thank you. That's because you are not on the unlimited data plan, your data plan is 1GB of data for $19.99. 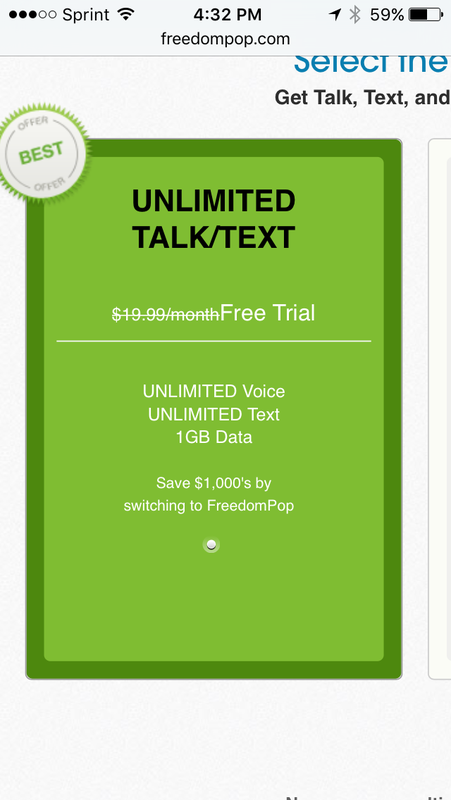 The talk and text plan is what is unlimited, and it won't cost you a dime. Also the talk and text plan doesn't cost anything, ever. 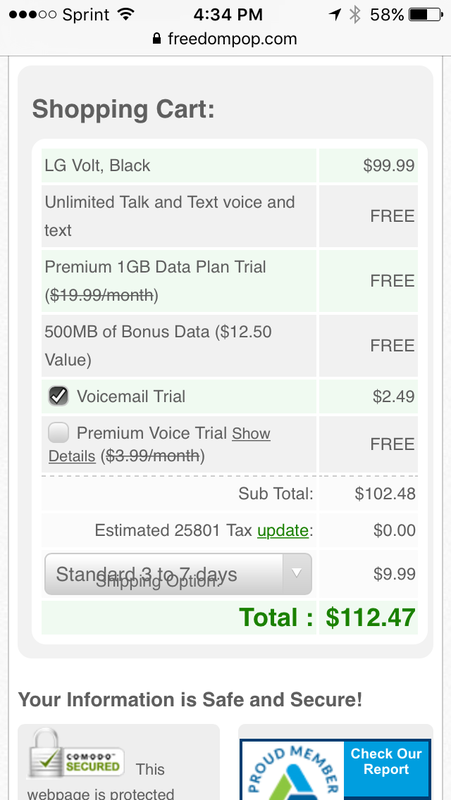 @sambo1986 Freedompop does not offer a plan that you get unlimited LTE. The unlimited data plan that FP offers starts off with 1GB of LTE data. After you use 1GB of data your speed is reduced to 128 kbps for the remainder of your billing cycle. @Ali can you please help my plan rollover to the LTE unlimited Talk/Text/Data plan. Thank You. I understand but can you switch my plan over to the 1GB 4G speed and 128kbps afterwards plan. I rather not pay for $0.15 per MB. Thank you.